No outfit looks complete without the right accessories. 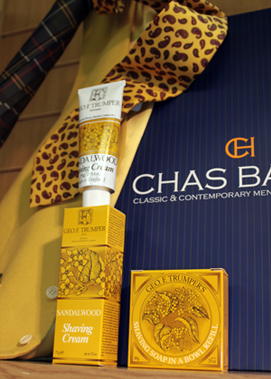 Chas Baker have a wide range of cravats, ties, bow ties to compliment our range of waistcoats. We also have a wide range of Geo. F. Trumper’s products available.